Gadgets lovers will love these camera lenses which can be easily attached to your iPhone or the new iPod Touch camera! The combo wide angle/macro lens can capture wide angle shots, or can be set as a macro for close-up shots. The fisheye lens creates curve edges with 180 degree angle. 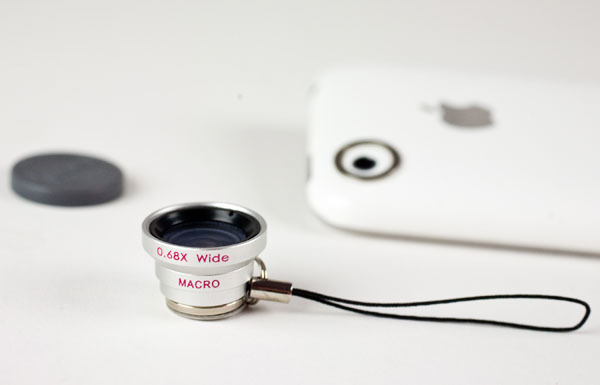 The lens attaches to the iPhone or iPod Touch via magnetic ring.